Eating in Bangkok is a treat no matter where you go, from the authentic Thai food, to amazing street food and even some Western food, you'll find a favorite, that's for sure. 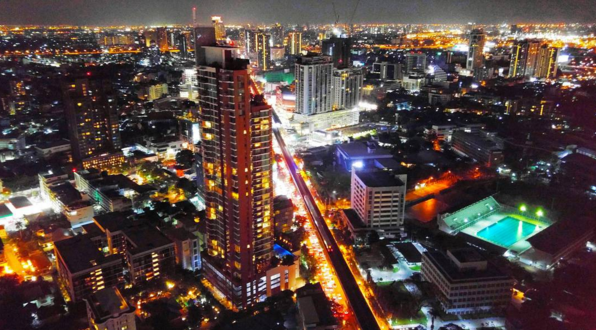 But while you're traveling in Bangkok, make sure you hit up at least one sky bar! Sky bars are restaurants located on top of sky scrapers, and let me tell you —that view is something else. It's not something you can skip when you visit, even if you only have a weekend itinerary for Bangkok. We think you'll also be interested in this guide about volunteering in Thailand with ILP. Sky bars are all over the city, but there are a few better than others. Make sure you do your research because some will have better food and some with have the best view. The favorite among ILP volunteers is Cloud 47! It is located right in the most popular part of town and has an incredible view. They have comfortable chairs that you can lounge around in and soak up the view and will have music for added entertainment. Another favorite? 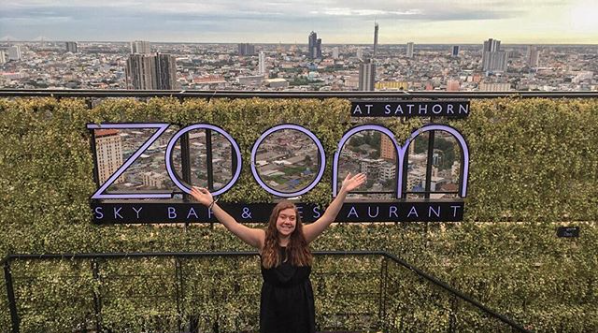 Zoom Sky Bar And Restaurant. Make sure you ask to go outside, and make the addition climb up two more stories to get the real outdoor experience (it's a larger terrace than the one you might be led to initially). Such a good spot for a 360 view of Bangkok. If you want the full experience, make sure you go a little before sunset (it opens at 5:00 pm) and grab a table outside. 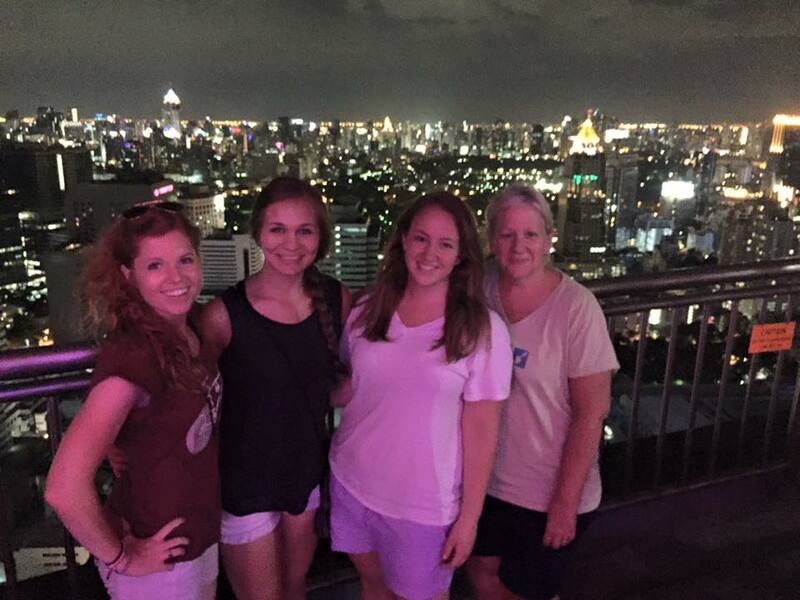 There is nothing like a Thai sunset, especially 47 stories up. The cheapest way to get there is to take the sky train. You will need to get off at the Sala Daeng station and head down the steps (opposite side as the Patpong market), it's only a couple of blocks down. Cloud 47 a try is located on the well known street of Silom Road in the United Center. The United Center is tucked behind a mall, so you may have to keep your eyes out for it.You will enter the mall's front doors and walk to straight to the back, out the doors and into the United Center. You will need to take the elevator up because Cloud 47 is on the...(I'm sure you can guess) on the 47th floor! If you don't take a taxi, you can dropped off nearby by riding bus 1 to this stop: ป้ายรถประจำทาง สะพานปลา 1. From there, it's just a short walk to the restaurant. 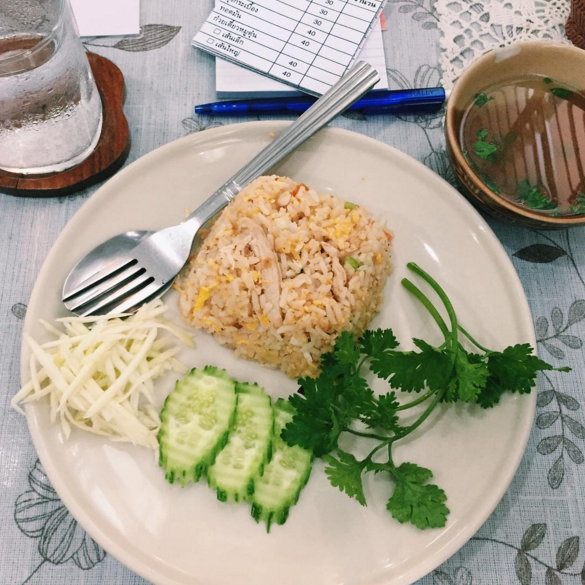 Do you want to teach English in Thailand? 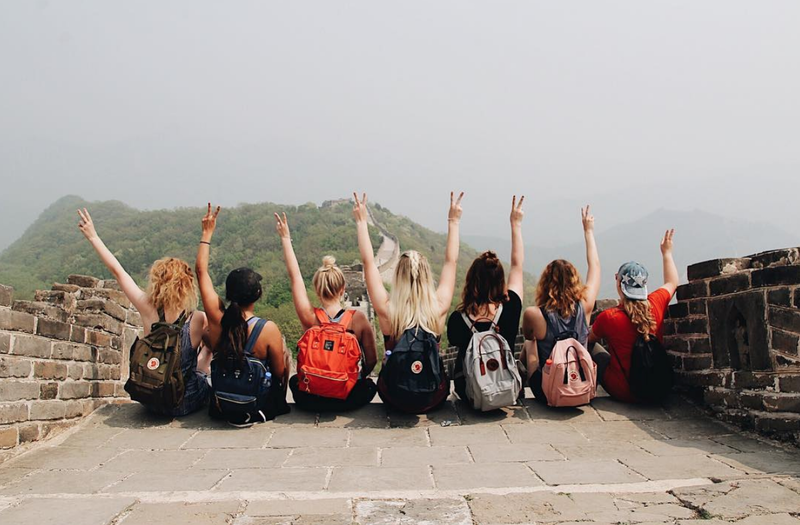 Our ILP Thailand volunteers love it — if you think you'd love a semester of touring some of Thailand's gorgeous beaches, hanging out and teaching a class of cuties and traveling all around with an ILP group, you might be a good fit to serve abroad with ILP.